You want this to be easy. But, you have no idea how to create engaging and traffic generating content for your new blog. 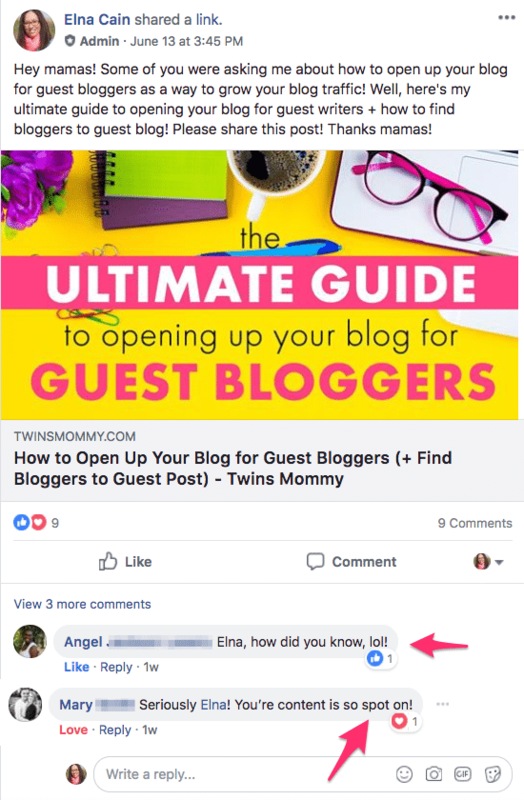 How do all the other bloggers you see on Pinterest and Facebook know what type of content to write? You want your blog to be a success – grow your income and have fun blogging all at the same time! But, no, nothing, no way to create targeted content that is resonating on your blog or on social media. Do you sit down in front of your laptop ready to type and….nothing happens? No ideas brimming, no topics seem to be screaming at you to write. You sit there for 20 minutes willing a great blog topic to surface, but nothing. So you say, forget, and hope for a winner next week. Whether you’re a new blogger or have been blogging for a year, creating content that resonates is an every day task. And it all boils down to knowing front and back your audience (and where they hang out). It’s okay to not know your audience on day one…or day 31. But, when you do know your audience and when you do create content just for them something magical happens. Bloggers talk about your blog. My blog, Elna Cain, only blogs about one topic: new freelance writers. I’ve carved this blog to only focus on that topic. I figured out what my audience wanted – not working from home with twins and not being a work at home mom. 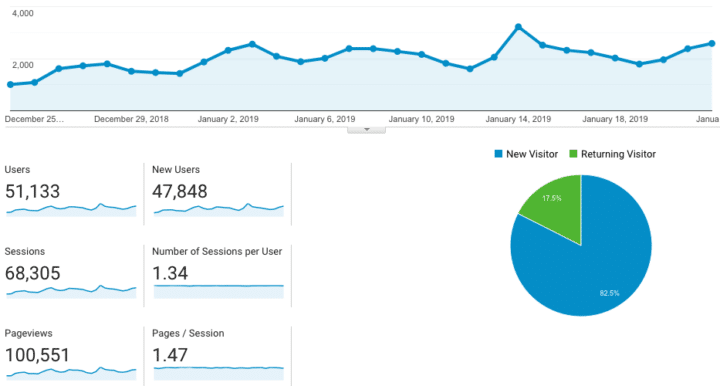 And, when I hunkered down and wrote content that resonated with my audience, my blog traffic grew to 100,00k pageviews. 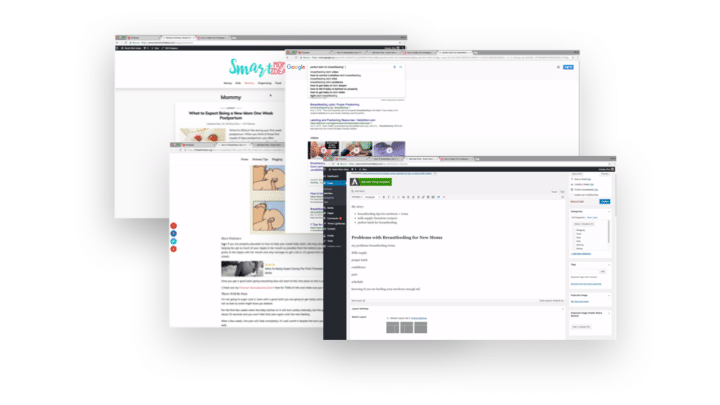 Wouldn’t It Be Nice If Creating Content Was Easy? Even if you feel you’re not a writer, you can still be an awesome blogger that inspires others, helps others and connects with others. As moms, I know how busy we are. We don’t have time to sit through hours and hours of course lessons just to get a plan to create a strong content strategy to grow blog traffic. That’s why I created a mini masterclass so you can sit down one day on the weekend and watch it all! Win-Win! Creating Content for Blog Traffic walks you through the type of blog you can have and the type of content you should create. 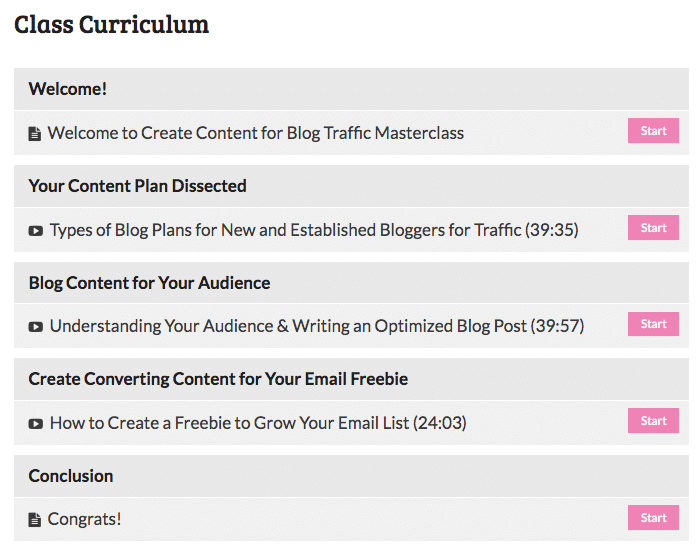 No matter what niche you are in (or if you have a nicheless blog), Creating Content for Blog Traffic – the Masterclass helps you understand your audience and create a blog post for growing blog traffic. This masterclass includes my writing process for creating content that’s optimized for my audience and for blog traffic. Learn the steps I use for all my blogs on sourcing a blog topic, comparing blog topics and optimizing the blog topic for keywords and traffic. 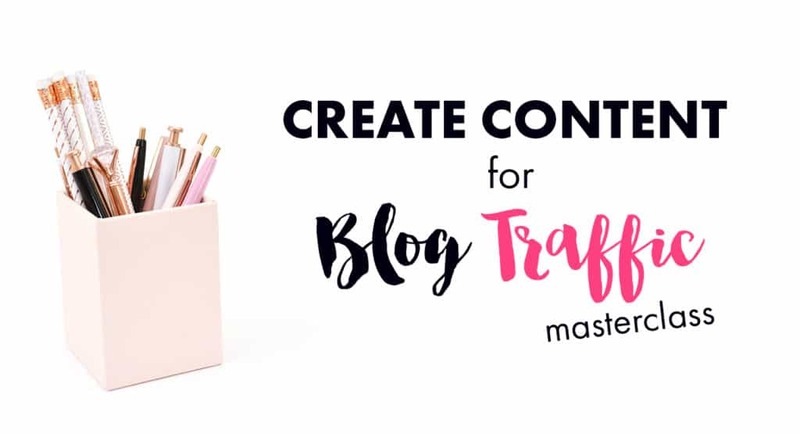 If you’re clueless on how to to create content that grows your blog traffic, this Masterclass – Creating Content for Blog Traffic – is for you!